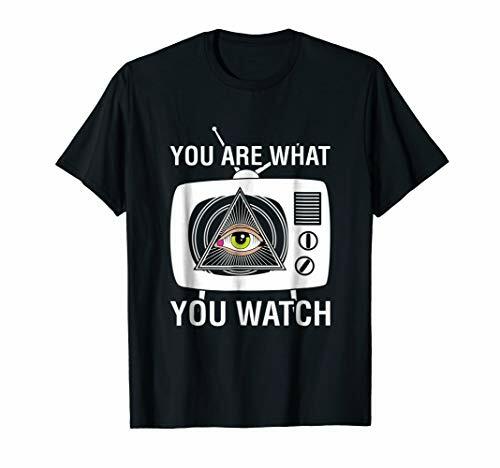 You Are What You Watch Illuminati T-Shirt – TV Mind Control Free Masons Tee: Cool television eye of orovidence – all seeing eye shirt. The Illuminati secret society may be in your head.. controlling your mind.. or it might just be a superstition. This shirt is available in men’s, women’s and youth sizes for you choice and comfort. Great gift tshirt for mom, dad, brother, sister, friends, a birthday, Christmas, graduation and any other gift giving occasion.